I grew up in an idyllic setting in England, surrounded by countryside which I explored at will, and with ducks, geese (not my favourites), donkeys and Scottish Deerhounds as my companions. My parents were keen gardeners. My Dad, not unusually, was ‘into’ the vegetable garden and Mum was the flower person, selling Pinks (Dianthus) to the local flower shop in Bath. 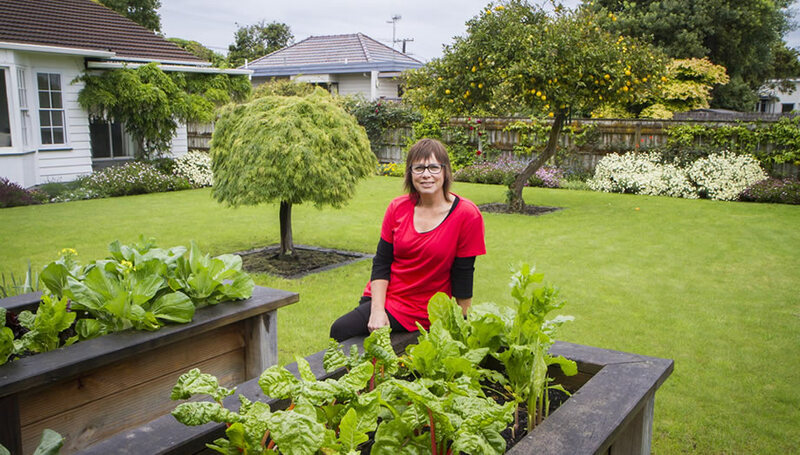 It took a while for their gardening passion to manifest within me, but with a young family and by now living in New Zealand by way of Canada, I became enamoured with my seaside property in Raumati South and set about creating beauty around me. The next step was to take this new form of expression to others and help them achieve beautiful, functional, uplifting spaces around their own homes. Courses in Garden Design, Planting, and Art, and a stint at the local garden centre gave me knowledge and tools which have been invaluable in my work as a Landscape Gardener. Since 1990 I have been applying this knowledge and gaining much experience creating and caring for a variety of gardens on the Kapiti Coast. For the past two years, I have combined my business with study at Canterbury University. Study in Palliative Care and Counselling has resulted in a Post-Graduate Diploma in Health Sciences. How this relates to the landscape gardening service I provide is to do with how gardens may enhance a person’s quality of life and reduce the stress of our current fast-paced lives. I believe it also enhances my ability to understand my clients’ needs and to support my team-members. Overall our service to you will be the best we can achieve. The Annie’s Gardens team is friendly, experienced, and dedicated to giving you a garden you will love.